As was mentioned in our newsletter we have been working behind the scenes to produce what we feel is the ultimate 70's Wire piece of merchandising. The album t-shirts. These are produced by a very new technology which enables full colour images to be printed directly onto cotton t-shirts of any colour. The image is not “stuck on” it feels like any other printed T-shirt and is completely washable also. The catch is that as this is a new technology the costs are to make them hugely more than regular t-shirts so we can’t really retail them at less than £29.99. 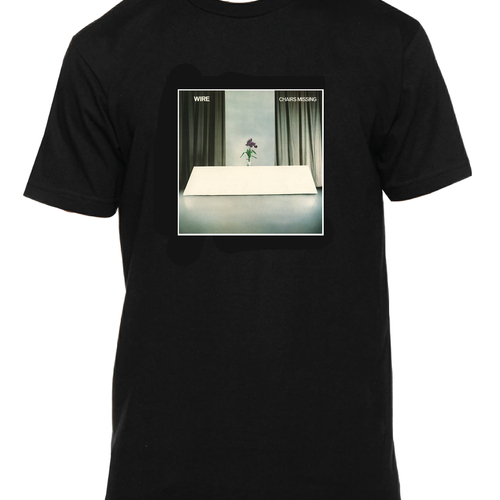 These are high quality t-shirts featuring the artwork from the Chairs Missing album, hand-produced in Brighton.